Finally, the solution of having one grand piano truck that will fit pianos from 4'5" up to 7'6" in length. Excellent for venues where there is more than one grand piano to move. Perfect for Concert Halls, Studios, Universities. This dolly is most useful if you need to move many different sized grand pianos, in one building. (e.g. Concert Halls, Studios, Universities etc.) Now there is no need for separate dollies. 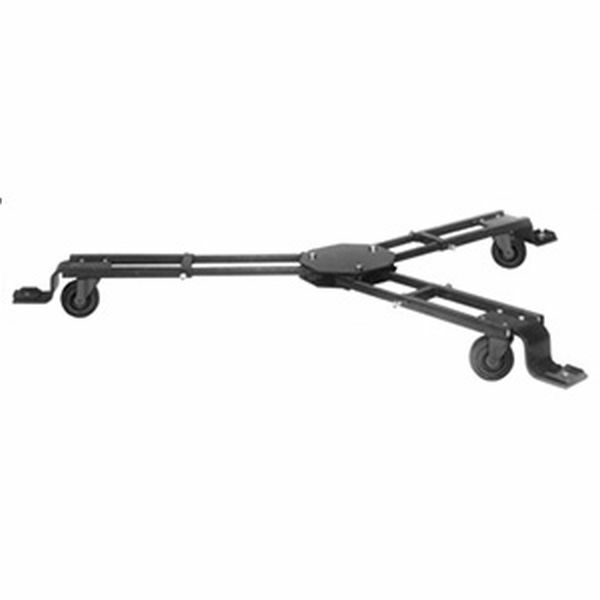 For 9' concert pianos we still recommend our #4014 Grand Piano Truck Dolly for extra strength. We used the dolly in a stage production of Chicago and the dolly worked and looked good for us. It was one of the only dollies I could find that adjusted down to fit the smallish baby grand we were using. It was ALL black, casters as well, which was important. Exactly as promised, fits all sizes and very easy to install. Solid craftsmanship, was what we needed on our stage to keep the baby grand safe. Easy to setup, secure, once we had the piano loaded, dolly glides around room.